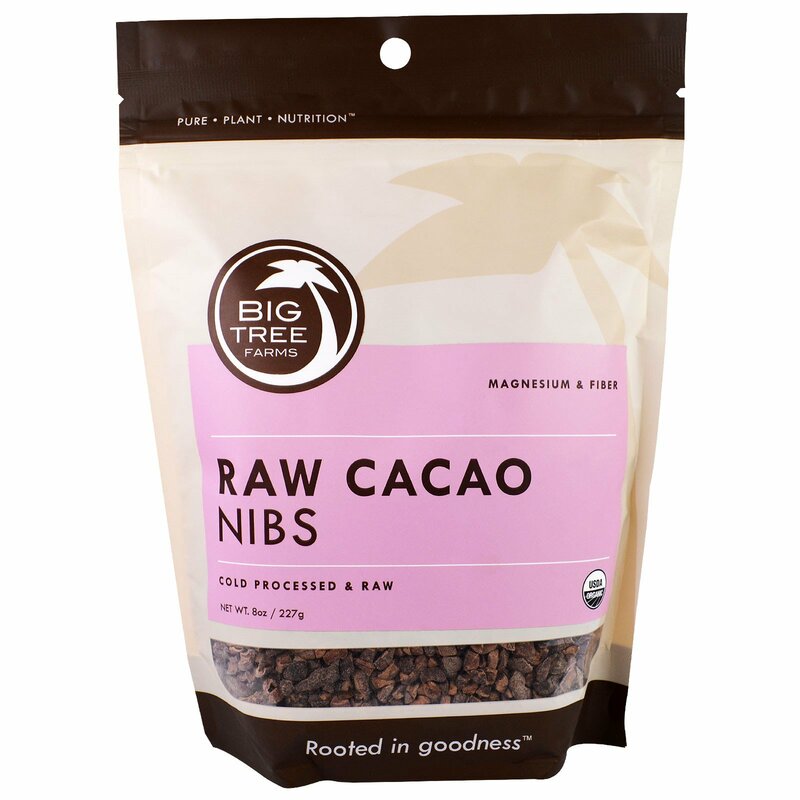 Our Truly Raw Cacao Nibs are nature's edible energy boost. We craft them in our bamboo chocolate factory on Bali, Indonesia by selecting whole beans and cracking them into smaller chips. 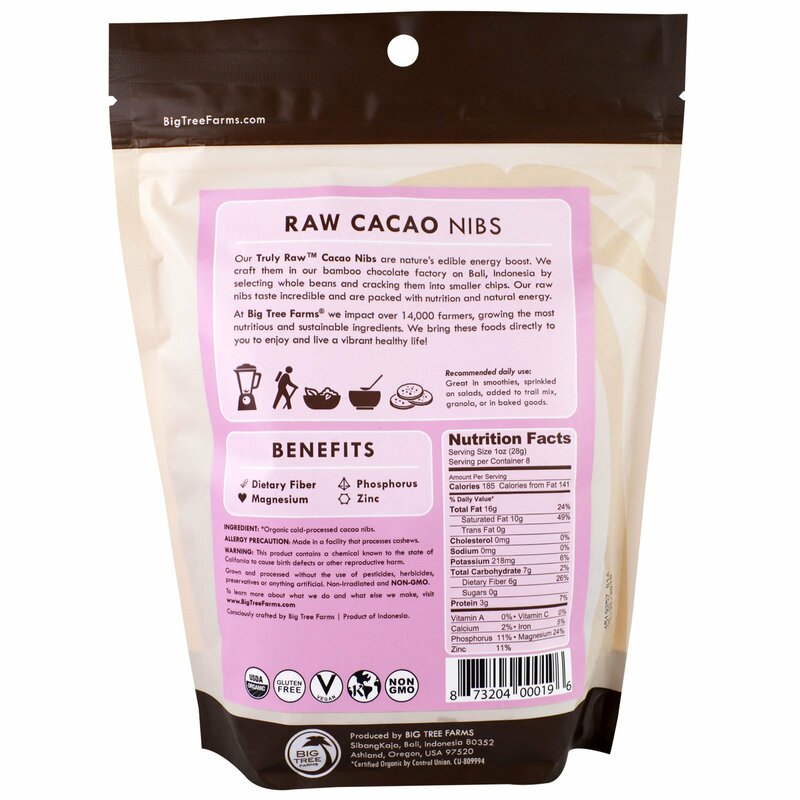 Our raw nibs taste incredible and are packed with nutrition and natural energy. At Big Tree Farms we impact over 14,000 farmers, growing the most nutritious and sustainable ingredients. We bring these foods directly to you to enjoy and live a vibrant health life! Great in smoothies, sprinkled on salads, added to trail mix, granola, or in baked goods.